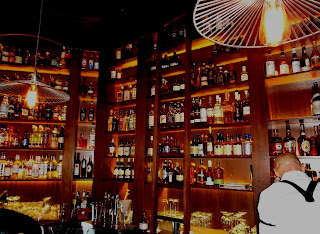 Rumba is a new craft cocktail bar from Travis Rosenthal (Tango) serving rum-centric, tiki and Caribbean drinks. The drinks are quite good and the look is classic Hemingway era Havana. Original cocktails are from bar manager Connor O’Brien, who has been making fine tasting drinks at Vito's the last couple years. 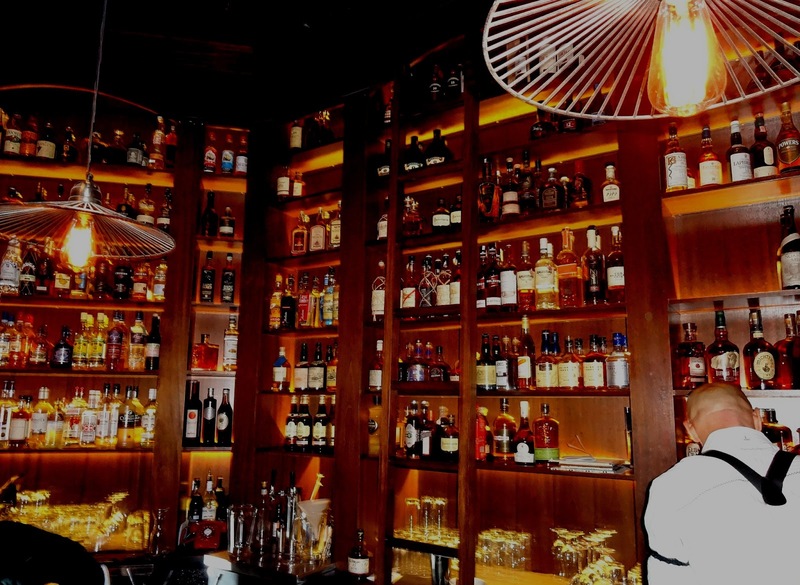 The unusual focus, romantic vibe, and 250+ rum choices make this a great addition to Seattle cocktail options. Historical notes: I can only find hints of one previous bar here, the Nikko Garden Tavern in the late 80s / early 90s. I have no clue what this tavern was like, but an older version, closer to downtown was described as "a go-go joint with awful dancers, but if you complained, a barmaid swatted you with a stick." As a 21 year old sailor, stationed in Bremerton, my friends and I would love to come to Seattle at Nikko's Garden Tavern close to downtown, where YES, it was a "go-go" joint. This was in 1970-1971. The price of a table dance was one dollar. No touching. A couple of the girls were decent looking. They had good free popcorn and a beer was 60 cents. My favorite girl was Jackie. I always made sure she danced Black Magic Woman for me! Good luck with your new bar and concept. Next time I'm in Seattle I'll drop by.